FTF-I members, Gramin Vikas Evam Chetna Sansthan and Purkal Stree Shakti Samiti participated in the ‘Kala Ghoda Art Festival 2016’ held at Mumbai from 06th to 09th February, 2016. Very beautiful appliqué work designed by women artisans’ of Barmer, was displayed in the festival. Quilt work by the women of Purkal was showcased. 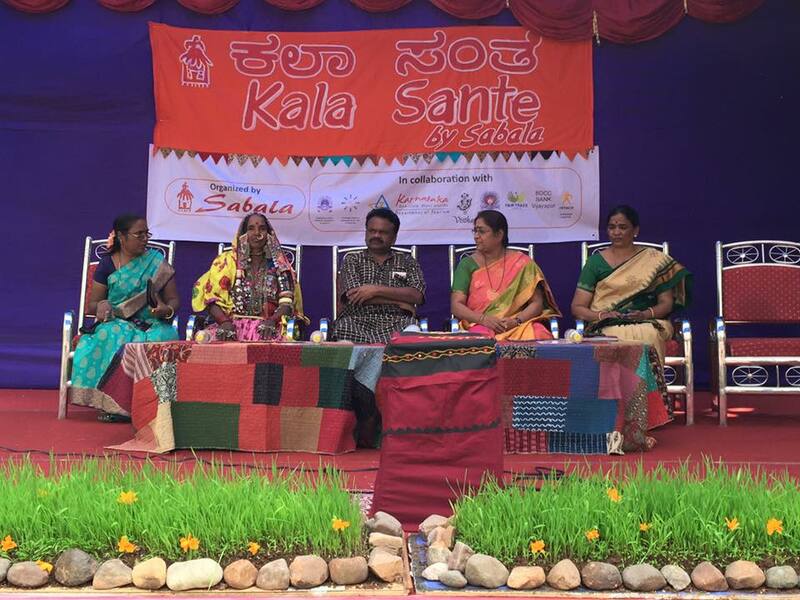 Sabala Handicrafts celebrated a craft and culture festival ‘Kala Sante’ from 25th to 29th November, 2015 at Sabala Campus, Vijayapur (Bijapur), Karnataka. The event included craft participants from over 12 states, and visitors enjoyed dance, music and drama performances also. The event showcased a variety of culture and connected the buyers and producers. Sabala empowers over 450 women from 20 different tribal groups in Bijapur, India. Honourable Chief Minister of Rajasthan, Smt Vasundhra Raje Scindia, visited Gramin Vikas Chetna Santhan on October 23, 2015 at GVCS Campus, Barmer. During her visit to the organization she met with the women artisans of Concern India foundation project and discussed about the appliqué/embroidery craft work. Women artisans along with the President of GVCS informed and made CM aware about the problem they face in the craft work. Women told and discussed the problems they face for their livelihood. 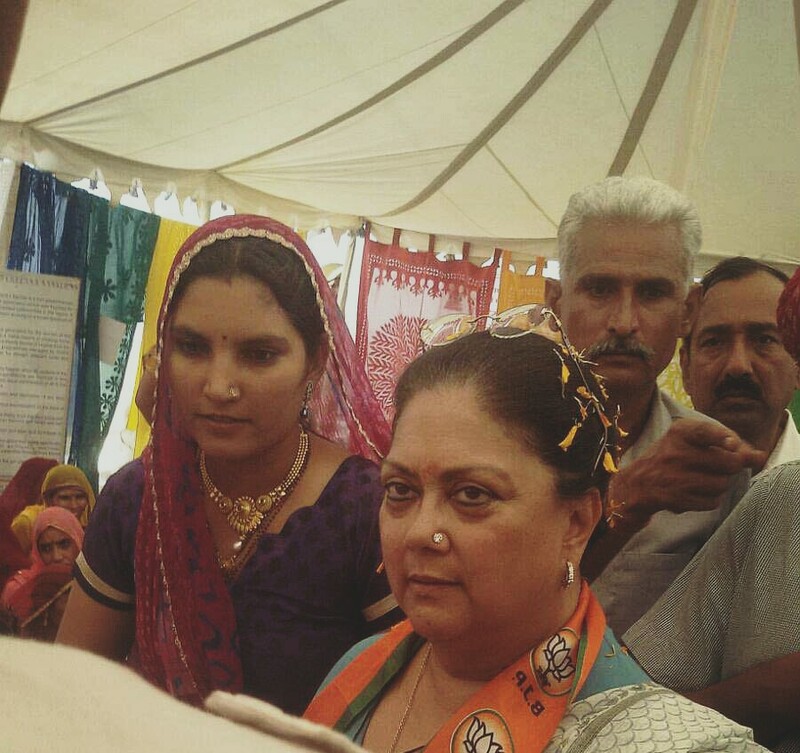 Smt Raje was very delighted to meet the women artisans and she spent a quality time with the team of GVCS as well. 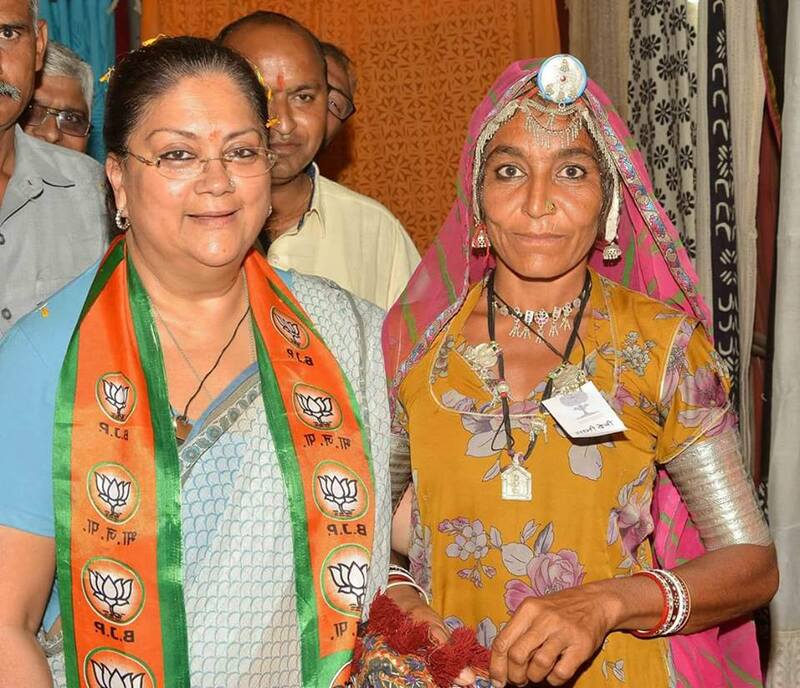 She also assured these women that the problems which they are facing for their livelihood will be solved soon. She will look into the matter and supported the craft work for a better India. To encourage these women artisans she also purchased some products made by these artisans. Women artisans informed and shared with her the process of preparing the products from raw material to the final output. It was a great get together of the artisan, team and the state Chief Minister. The event was conducted in the presence of GVCS President, Mrs Ruma Devi, Secretary Mr Vikram Singh Chaudhary and other enthusiastic staff members. Core Activities: GVCS is working on a large scale with embroidery and applique artisans in Barmer and Jaisalmer districts of Rajasthan. They are actively engaged with more than 3000 women artisans and have been able to generate continuous employment for them through creating a market for their products. The women GVCS works, reside in remote areas of the arid Thar Desert which have remained under developed due to their harsh terrain. Apart from the lack of infrastructure, the main problem in the area is the restrictive ‘Pardah’ system and lack of education. 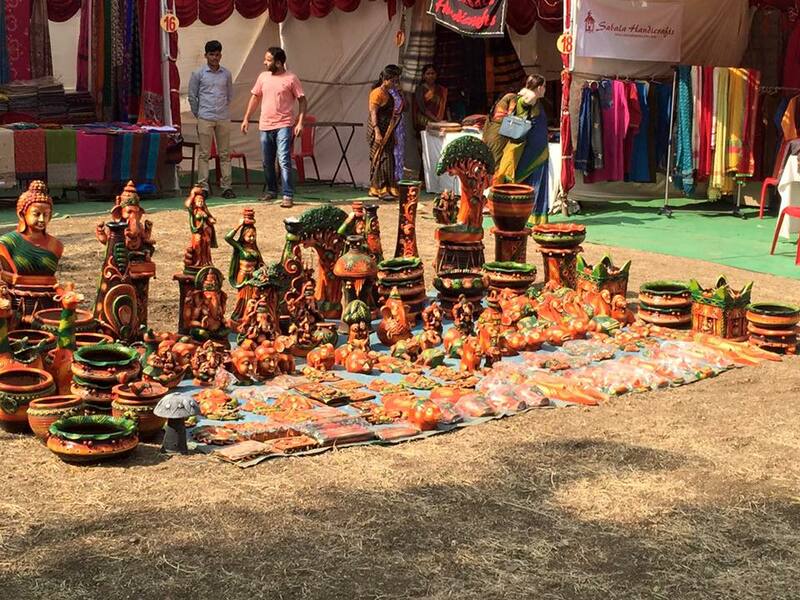 Kadam Haat participated at Craft Bazaar, Coimbatore with a totally organic and indigenously made colorful range with bamboo based products. The exhibition took place from 08th to 13th July, 2015.